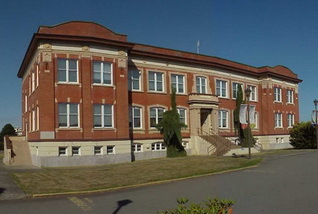 The Greater Victoria School District No. 61 is located in the capital city of British Columbia and covers the municipalities of Esquimalt, Oak Bay, Victoria, View Royal and a portion of Saanich and Highlands. The Greater Victoria School District is proud to provide quality education for 20,000 students in 27 elementary schools (Kindergarten to Grade Five), 10 middle schools (grades six to eight), and seven secondary schools (grades nine to 12). More than 1,000 International Students from across the globe attend schools in our District, and each year, over 650 adult learners register in the Continuing Education Program. Our District also offers a variety of Programs of Choice and three Elementary Schools of Choice.